The #1 thing that I hear bloggers complaining about is lack of traffic. Bloggers are dreamers and the reason we start blogs in the first place is to make a difference. So when we spend months on end planning and creating, learning, (tearing our hair out), and networking only to have people not read our blogs, we feel extremely frustrated. One of the best ways to improve the traffic on our blogs is by using the best marketing services from chattanooga marketing agency. However, no matter how smart or how great a change agent we are, people ain’t just going to land on your site without you seriously promoting it first. I had no set goals. I was just gunning it! SO, if you want to drive massive traffic or increase your blog’s visibility like whoa, then you need to plan, focus, and commit to that goal. Expect that it will take 6-12 months of trial and error, networking, and hard-work to get the results that you want. OK..with that being said, here’s how to put your visibility on steroids. First off, what exactly is content marketing? Many people mistake content marketing as blogging but content marketing encompasses so much more than that. 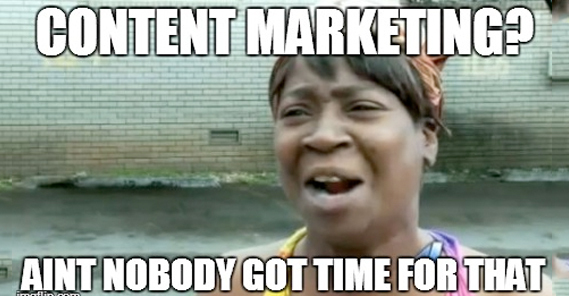 To put it simply, content marketing is that whole funnel system thing everyone keeps talking about. Your blog is only the very top of the funnel and is the first step to attracting and retaining visitors. Why is knowing the concept of content marketing important and/or relevant to this post? Because I always believe that you need to understand why you’re doing something and why you want a particular goal versus just doing something because someone told you it was a good idea. Spreading your blog in several different places after your publish an article builds awareness, and then once people are aware of you, they’ll hopefully come back to your blog over and over again, subscribe to your email list and eventually become a loyal customer. OK, let’s get real, distributing your blog in several different places every time you write a post is tedious as hell but I believe that if you are organized, you can save time and be more efficient with the process. Facebook groups (I have a list of 30 Facebook groups I can distribute my blog post in). Pingler – Submit your blog post to the search engines for free. Sniply – Add a small call-to-action to every link you share on social media. So if you share a really cool article from someone else’s blog, have a call-to-action at the bottom that entices the reader to visit your own blog. This is really more than 30 places since on social media, you can join dozens of groups and extend your social media reach even further. #1 – This is not a definite list. Please let me know of any other sites where you can promote your stuff in the comments below. #2 – Don’t get caught up in trying to promote everywhere. With all the new platforms coming out nearly everyday, I don’t have time to learn how to use all of them nor are all of them going to be suitable for your content. Pick the ones that are easiest to use for you. #4 – I didn’t link up to all of the sites in the list above. Google it guys…as bloggers we have to cultivate the skill of “Googling” or you just won’t make it. Make a simple spreadsheet with the name of the places you plan on distributing to. Also set a time to every week or every day to publish your blog post to all the places. Don’t do too much at once. Make your schedule sustainable and stick to it! Please don’t be a spammer. Contribute and make authentic relationships online. Once people see that you’re a real person, they’ll trust you and want to connect with you. Set the foundation for reoccurring, passive traffic. With so many different platforms to hit up, you’re going to want to use Hootsuite or some other type of social media scheduler to help out. *Warning* Don’t depend on social media schedulers for everything! Get out from behind your blog and connect in real time with other bloggers in Facebook groups. Put in the time and effort to build real relationships. I joined over 50 group boards, some of them with over 100K followers! Another thing I’ve done to create passive traffic is create communities on Facebook. I helped create/manage 4 Facebook groups! There has to be nearly 20,000 members in those 4 groups! This has helped have access to a large group of followers that I can share content with. Be consistent every single week by posting social media content on your feeds. You can bulk schedule for the month using Hootsuite. Getting traffic is not hard or even difficult to implement, but it does take a lot of work (initially). I’ve realized that blogging takes a LOT of work and if you can’t be in it just to make money. If you want to learn more traffic generating strategies, check out my free 7 day Traffic Challenge by signing up below this post. The truth is you probably won’t make money for a long time and you have to be able to keep pushing through. I hope that you find the list above helpful and as always, please share, share share. 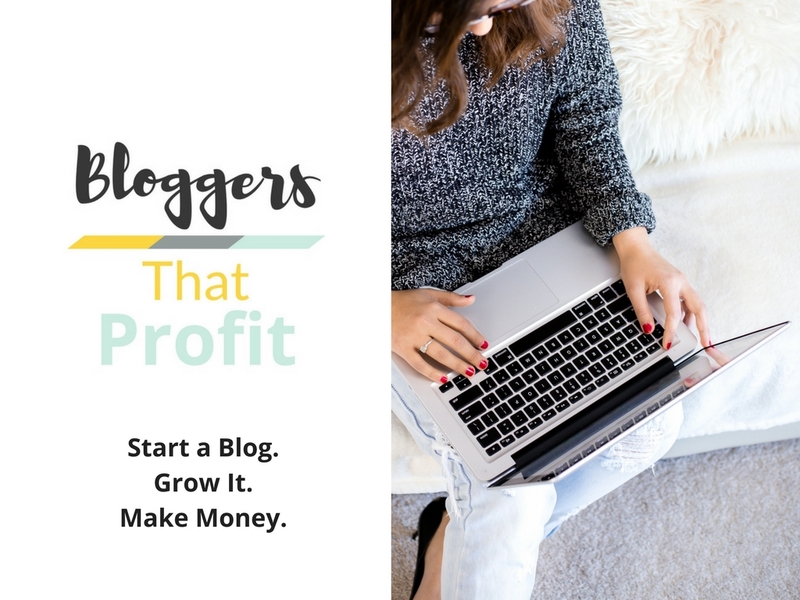 Want to start making money with a blog? Learn how to start a blog today in 10 minutes. « Quadruple Your Blogging Income With These 5 Tips! Great list Amanda! Thanks for sharing. Getting the word out is definitely key! I’ve used many of these and, depending on the niche, have found Reddit to be one of the best (provided people believe your content ads value). Keep up the great writing – it’s awesome to see your website grow! Hey Rob! Thanks for stopping by! I need to learn more about Reddit but I heard it is a great source of traffic! Hi Amanda!! AWESOME post & list! Thanks for sharing! Thanks – this is great and very helpful. Hi Amanda! Great list! I have to take a look at some of the last options! This is awesome! I was wondering what else was out there. Really great ideas for getting more traffic to my blog. Can’t wait to try some more of your suggestions. Let me know how it goes Molly! This is a good post and a very indepth list! I don’t think all of those sites/platforms would work for me, but its nice to have some more options. Even if you use a third of this list, I’m sure you would get a huge surge in traffic. I’ve started to focus on Pinterest more (joined 30 group boards, pin 50+ times per day) and that is rapidly increasing my page views. It’s all about finding what works for you. Thanks for stopping by Nick. Believe it or not, me too Tiina! We’re all a work in progress! Thank you so much for this! 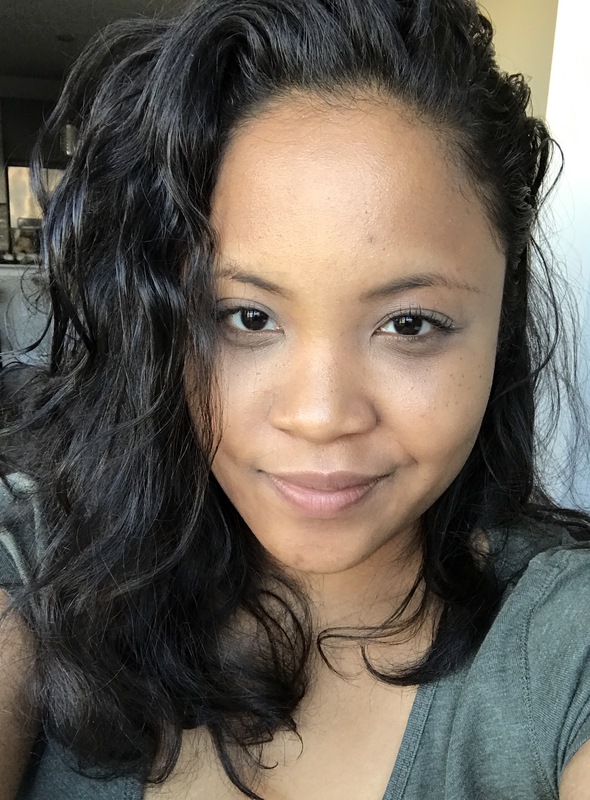 I just started blogging and was beginning to feel like that horrible FB girl. Now that I have your list I have a better way to promote. Awesome Amy! This will get you your first blog visitors in no time. Me too Linda! I know that Reddit can be a great source of web traffic. Thanks for stopping by Linda. Love the spreadsheet idea! I try and share my posts a lot, but I often forget where I’ve already linked it! Great post! Me too! I just put together a spreadsheet to keep track of things and so far so good! Thanks for stopping by Mariah! Awesome tips, a bunch of these sites I have never heard of! And YES I hate FB spammers! ha! I thought that meme was a hoot but so realistic! Thanks for stopping by Lauren! Thank you for the comprehensive list! I haven’t heard of most of these, so it’s super helpful! Saving! Thanks so much Terryn! I hope you find it useful! Tweeted this. This will be a useful list for many. Thank you for the share Alana! I pinned this post. Thank you so much for sharing! As a new blogger I need all the help I can get. Great post! I’m always so nervous that I come across as “that girl” on Instagram. I try to only post “check out my post!” Instas 2-3x a week now. Hey Amanda! I’m so confused in regards to Instagram that I just steer clear of it! One day I’ll hop on there. Thanks for stopping by! What a great list, Manda! I think I probably need to amp up what I’m doing. I only have one Pinterest group board I can post to, and only a few FB groups. Thanks for the encouragement! No problem! Thank you for reading and commenting. I’m saving this article for future use. So useful! Thank you. This is a great list that I am going to save and use as a checklist. Thanks! I’ve almost given up on G+. I spent a whole week promoting the best of my posts there a few months ago and all I got were a bunch of spammy comments. G+ has the potential to be the next Facebook – I don’t understand why it’s not more popular. Great list though! Very thorough! Excellent info. I post several places, but learned a few new one thanks to your post. Great resources! I’ve pinned this so I can come back and check it out when I have more time to visit each of these! Thanks so much. Great post with valuable information! Thanks! This was of great help! Thanks you very much for this list. I’m already a many of those places, but some are compeltely new to me. Great post! As a new blogger, I am always looking for new outlets to promote my posts. This is a great list – thanks! Thank you so much for posting this! This is super helpful! I did not know some of these existed. I use linkedin, but I didn’t know about linkedin pulse. I’m really new so its so nice to have some help Thank you again! Thanks so much for this. I’m thoroughly enjoying your blog posts to help better my own blog. Thanks for the great list, some of them I have never heard of and are planning to check out. Thanks for the great list, some of them I have never heard of and are planning to check out. Also word of mouth and family members. My cousin ended up sharing a post I did about alligators with her whole office, my numbers jumped that day. Amazing article! Thanks so much! Just starting out… blog out shortly. I will value your advice. BEST I have seen on Pinterest! I found this post very helpful. Thanks for sharing! You can also use BlogLovin (they also have an app) which can increase your followers! Great Post. This is the area that I have been struggling in. It is difficult to get people to read or even know that your blog is out there. I will definitely consider some of these ways. 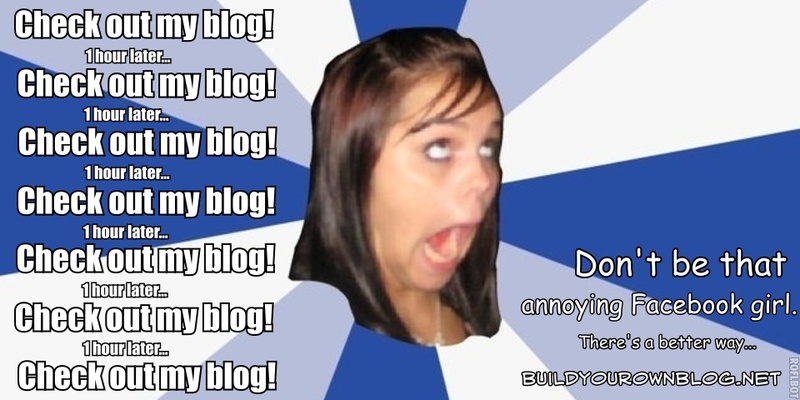 Its just so much to learn about blogging. Everyday is something to new but I look forward to the journey. Thanks for the post. Hi Amanda, it is inspiring to read about your mission and goals. I found that another great way to boost your traffic is by collaborations with others and creating collective stories around a topic. This way, you can reach new audiences (those who your collaborators share the story with). VENNDY aims to help bloggers and online entrepreneurs to monetize their lifestyle experiences and at the same time inspire their readers with trust-building tips. Great tips here lady thank you! I have used Pinterest for most of my traffic driving and just joined StumbleUpon a few days ago. Have no idea what I am doing yet but will get there. Thanks for the reminder about LinkedIn. I never log into my account any more but need to get better at publishing my blog posts there. Thanks for stopping by April! I’m the same way with Linkedin — super bad about checking it but it seems to be a really awesome platform that could be useful for building a great network online. Excellent information! A big thank you from a blogger newbie. It’s like learning a brand new language and culture for me. Definitely not easy but so fun! Yes! I definitely agree! Thanks for stopping by Brenda! Great list Sandra!!! Thanks so much for sharing I am also looking to join more group boards. I blog about women’s empowerment, blogging for business and entrepreneurship. Do you know of any group boards that have open space? Thank you for stopping by Amanda! Great list! I thought I was pretty social media savvy but there were some I did not know existed on that list. I like your goal of 100 Pinterest Group Boards, mine is 50. Well, for 2017 anyway! That’s a great goal! I’m about 25 boards away from accomplishing my goal and it has really helped to boost my traffic! Thanks for stopping by and commenting Amy! Great tips! I have been looking for more places to share my blog posts. Great post ! Thank you for sharing! You’re welcome! Thanks for reading Kelsey! Thank you so much for this. I now have a plan to get in place for after I’ve written a blog post. This is what I was struggling with the most. That’s awesome Sarah! Thanks for stopping by! This was great! Thank you for sharing these awesome strategies! Great list Amanda! Thanks for sharing. Keep putting out epic content. Aw thanks for reading and commenting Richard!